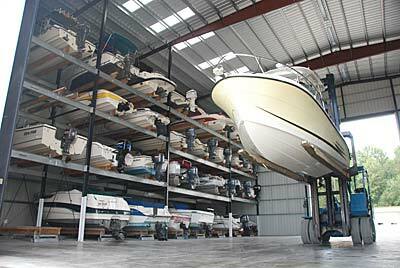 Winter is just around the corner and that means for a lot of people it’s time to get the boat ready for storage. This yearly ritual is more than just cleaning and hosing off, it’s important that you take a good honest look at all your marine electronics and make sure that when you get ready to go back in the water next spring, you won’t find any little surprises. Since last winter SolidSignal.com has added close to 10,000 specialty items for marine enthusiasts. This is stuff from a $10 grommet to a $50,000 specialty communications system and of course everything in between. You’ll find everything you need to get things, well, “ship shape” once again and you’ll especially find the widest array of marine electronics you can get anywhere. If you do your own repairs, you’ll be pleased to find the brands you know like Floscan, Furuno and Lowrance, plus dozens more. If it’s time for an upgrade to your existing vessel, you’ll find plenty of different options from new controls to radar equipment. It’s hard to imagine that anything’s missing from our comprehensive selection. Of course, we plan on adding another 5,000 parts this year so there’s still room for improvement! Don’t take my word for it, check out the great selection of marine equipment at SolidSignal.com today! Why are satellite dishes for RVs and boats so much more expensive?